Mr. Wonzie L. Gardner, Jr. is the Office Head and Chief Human Capital Officer (CHCO) of the Office of Information and Resource Management at the National Science Foundation (NSF) in Alexandria, Virginia. The NSF mission is to promote the progress of science; advances in national health, prosperity, and welfare; and securing national defense. As the Office Head and CHCO he serves as the principal advisor to the Office of the Director, of NSF, on all administrative and general management activities for the Foundation. He provides leadership and direction for human resources, information systems, and administrative services for the agency itself and the larger community of scientists, engineers, and educators, and is responsible for ensuring all organizations within OIRM work in partnership to support the NSF and its customers from an operational perspective. Wonzie also serves as a focal point for promoting an agency-wide operational culture focused on consistently excellent business practices, innovative information technology, strong customer service orientation, and improved internal and external communications. As the focal point for monitoring organizational excellence he is responsible for promoting an awareness of, and sensitivity to, the role of the Foundation in most effectively conducting its mission in support of science and engineering research and education. Prior to joining NSF Mr. Gardner served as the Director of the Office of Logistics and Facilities Management, Food Consumer Services Agency, United States Department of Agriculture. Mr. Gardner also served as Chief, Logistics Readiness & Helicopter Maintenance Division for the Air Force District of Washington (AFDW) at Joint Base Andrews and was responsible for overall logistics activities through subordinate units to HQ USAF, DoD and other National Capital Region organizations. 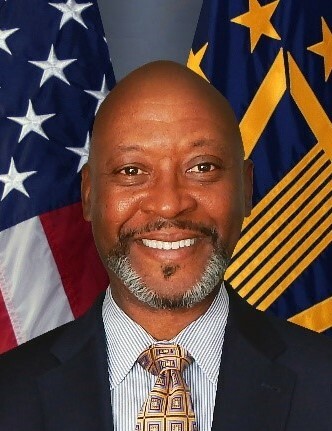 Wonzie transitioned to civil service in March 2011 after retiring from the United States Air Force in the grade of Colonel with 27 years of faithful and honorable military service.